What Is ItA picture of a building reflecting in the wall of another. Why It's Today's PickI got into Providence today rather early for a conference (we know this is my M.O.) and wandered around downtown Providence. There were a few different sights to capture but I liked seeing the reflection of the building in this photo. For some reason, it makes me think more concretely (pun intended) about the idea of whether a city has a soul or not and if it did, could it see it in its own reflection. Beyond that, I just enjoyed walking around tall and unknown buildings of a downtown area. So I've been rather quite on the running front of late. 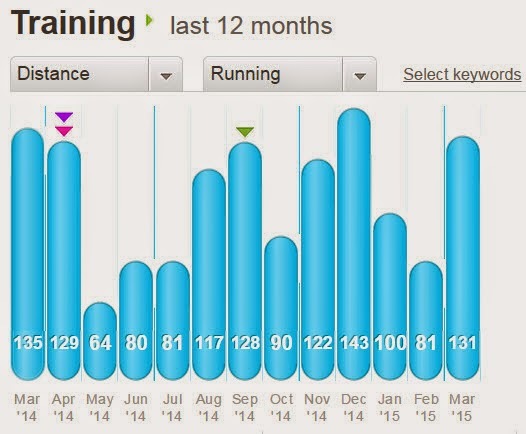 The last I posted on running was way back in August when I was talking about my recovery. I continued running through the fall and completed the Baystate Marathon, though came in around the same time as the year before, which was disappointing but there wasn't much I could do about it. However, I have been running pretty consistently since then and am looking forward to another season of running. I'm mostly itching to get outside and start running. I've been running for months but it has been all on the treadmill. I've learned to tolerate the treadmill pretty decently, so long as I had Netflix to get me through it. January and February were less than stellar. I blame that mostly on moving in late January coupled with the start of the semester and of course, blizzard season. March has me in much finer form and the forthcoming months will be more successful in this regard. What Is ItA map highlighting my first run outside this morning since last year. What Is ItSelfie-sunday with side profile. Why It's Today's PickI went with the side profile for a change. However, it was a pain in the but to get. I don't have the most steady of hands and so trying to take the picture while holding it still with one arm proved challenging. I figured I would take a look from the side. I'm not quite sure why my ear happens to be so red. But this angle proves interesting for other reasons. The first is that my forehead was a slight divot to it. If you follow the curve of the forehead from the top, it does in just slightly before going outward as it gets to my eyebrows. The most curious contrast though is between my hair on my head--largely brown (though a few hints of whites, I think) and my beard which seems much more reddish by contrast. On my eyebrow, if you look closely, you can still see the two holes in it from when I had my eye brow pierced. What Is ItA photo of a fortune cookie that reads, "Fear is interest paid on a debt you may not owe." What Is ItThe sun rising on the Danvers campus of North Shore Community College. Why It's Today's PickI captured this photo and a few others when I got to the campus today. It was curious that where I initially stood, the sun didn't look like it was up, but then when I walked over to this spot, it looked like it had risen past the horizon. I took a few shots with the sun aligned and not aligned with the tree. I liked this one because it actually looks like the sun is cutting into the tree, which is a pretty cool effect. I also like the contrast of the whitish snow in the foreground. This contrasts nicely with the sun cutting through the tree because it seems provides a sense of fire and ice. I also like the dark and tangled branches surrounding the sun. Photo Reflection of the Day #74: That Lil Extra Push! What Is ItThe screen on my treadmill after completing 6 miles. Why It's Today's PickThe weather hasn't quite picked up in terms of me being able to run outside, but I have attempted to still step up with the running. I've signed up for 3-4 half marathons and one marathon and therefore need to get my running going. This last week I got myself back to running 10 minute miles (including doing 10 miles at 10 minute miles). But not every day is easy. Today was a struggle to get to 6 miles in an hour. I fought with myself pretty hard and came close to slowing down or quitting. There was no fatigue or pain to speak of--just the some-times nagging voice telling me to skip the workout or not do as much. I don't manage to conquer that voice every time it comes--I succumb to it more than I would like. But today, I beat it and so my photo of the day is my accomplishment. I recently wrote another post for the Changing Lives Through Literature blog. Here is the post--feel free to follow the link and get all 10 tips for reading! "The following is a handout I provide for participants on the first meeting to help them think about literature and how the program runs. What they receive is the numbered items, and the text below each is usually what I explain as we go over the handout. 1. Learning is a building exercise, not a filling station.The research increasingly shows that one’s approach to learning can be pivotal to their ability to learn. To this end, it’s important to understand that learning is something they can continue to do throughout their lives and that their mind is not necessarily finite. Basically, so long as they maintain a belief that they can learn, they will continue to learn. What Is ItA shot of the beach at Gillis Park in Beverly, MA in the afternoon. Why It's today's PickI took a bunch of photos on my first venture down to the waterfront at Gillis Park in Beverly, a small little park right around the corner from our place. with much more of the snow gone, it was easier for us to walk down and take a look around for the first time since we've moved here. I got in a lot of shots and choosing today was hard, but I went with this one. I took it initially because I liked the reflection that ran from the water to the sand. However, when I was going to post it, I looked at the black and white filter and found it to be even more fascinating as this shot could potentially read as day or night, which I found to be pretty cool as well. What Is ItPost-10 mile run and show, selfie! Why It's Today's PickAny Sunday, another selfie. This one was taken as I finished running ten miles on the treadmill with ten-minute miles (a happy accomplishment for me) and showered, feeling refreshed and ready to take on the rest of the day. As we can see, we're getting into the 3rd week of going without shaving. It looks manageable--less scruffy but not too unmanageable like it will be by next week. I think between the shower and the white background, I look a wee bit pinker than I might usually look. What Is ItThe number count of how many plastic bottles have not been used as a result of using the bottle station at the water fountain. What Is ItA photo of a piece of art that my grandmother painted. Why It's Today's PickThis painting hangs in our kitchen. It used to hang in the previous apartment, which is also where my grandmother lived for some 15 years while I was growing up. I like the fact that I have something from her that reveals one of her many skills and interests. She was such a fascinating woman--she danced, she painted, she played the organ, and many other things that I didn't know about. I just knew her as Gram--my grandmother who lived downstairs and played Go Fish or War with or watched Murder, She Wrote, or who made awesome cookies. So I like to have this in my house as a reminder of her. I also like the picture itself--a road in the country side. At times, I imagine myself walking down such a road, trying to take in all the information that the painting provides--the wind, the smell, the colors. The follow blog was posted recently on the NSCC LETS Blog and it's about my approach to using laptops and tablets in the classroom. "David von Schlichten mentioned in his recent Conversation blog post on The Chronicle that he is fine with students using their digital devices to do whatever they want in the class and that it is their choice to engage or not engage. I can appreciate that hands-off approach but I agree with some of the commentators that while it may work for the instructor, it is likely to be challenging for other students in the classroom and they may be distracted. This point was made obvious to me when a student was once caught watching inappropriate material in my class. 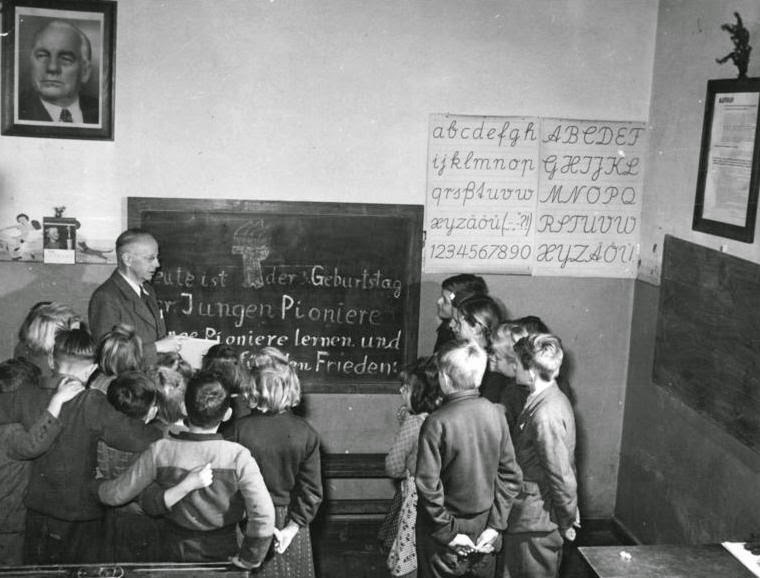 Granted, it was likely way more interesting than whatever I was teaching at the time, but his peers ratted him out by the astonished and bemused looks on their faces." For the rest of the article, please visit the blog! What Is ItSunrise from in front of the Campus Center at UMASS Boston. What Is ItA show of MBTA train tracks in Beverly. Why It's Today's PickI was walking over to the Beverly Comic-Con (No worries if you missed it--I barely knew it was happening--or that it was it's second year) and crossed an overpass that goes over the train tracks. I've wanted to get a good shot of these as I'm always fascinated and curious with train tracks; it speaks to the influence the Stand By Me and later on, Station Agent had on me. And there just seems to be something about train tracks with snow that is mesmerizing to look at. Maybe it's the mixture of the power of nature to change things (water into snow) combing with humanity's ability to change things (the landscape) that make it so striking and intriguing to look at and ponder. In this photo as well, the stark contrast between the dark metal of the rails and the white--freshly fallen snow, also provide a great visual. What Is ItA stream of water from melting snow with a layer of oil to it. Why It's Today's PickAs a child, I was always mesmerized by oil and water when it came together in little pools in potholes or unleveled ground. It fascinating to see the swirling of water and oil and the colors that came from it. And yet as an adult, I look at this and though those nostalgic feelings still pull at me, there's also a feeling of dread when I watch this river of melting snow with it's sustained oil-slick moving along it. I think about the issues of climate change and how so much of it is like this oil slick--occasionally, visible in certain lights and pockets, but largely invisible. That is, all of this oil is embedded around us, but it's only when the snow transitions to water and slips into sewers, streams, and oceans do we actually see it--and even then, only momentarily. The rest of the time, we just experience the results of this persistent pollution. What Is ItTitle slide of my slide deck for my last session of #ShareThis. Why It's Today's PickIt's the final day of this course and like my credit-classes, the end is both a mixture of excitement and regret. The excitement is that we've made it to the end--we've completed something. The sadness is in that ending a class is a parting of ways. There's a hope within me that the students will take what they have learned and test out social media by Tweeting at me or something along those lines. That in some ways will signify success. There's also regret because like any course I am excited and passionate about, there is always more to share and tell. Teaching is sometimes frustrating in that regard is that some subjects there is just so much to talk about and share, but so little time to do it. So remember this series that I started way back when before life got a lil crazy! Here we are at the half-way mark! Anyone still here? Let's hope! I'm rather enjoying this trip down memorable movie lane! Here's the running list of previous entries!